Local versus Organic: What is the right choice? Forget the foreign cars and name brands, you are now more likely to be judged by what is on your dinner table. Is that steak local, grass fed, animal welfare approved? Did you pair it with a side of local, organic, heirloom potatoes? While the string of labels becomes its own parody, it is indicative of our life in the information age. Transparency is a valuable trait that consumers are beginning to expect from companies, especially when it comes to food producers. In the race to lead the most socially, politically, and environmentally correct life possible, how does one ensure they are making the right choice? The real challenge comes when determining which certification is the “best” and finding measurable data to back up these decisions. At the top of the debate is the local versus organic. Which is better? What is more important? How are they different and how are they similar? These are the types of questions that can paralyze you in the grocery store. Adding to this challenging endeavor is the reality that a lot of this is subjective. Everyone has their own set of values as well as financial and logistical constraints. What is the right choice for you and what you are able to source where you live? The challenge for consumers in South Carolina is that currently there are only 53 certified farms, ranging from ¼ acre to 1,000 acres, leaving many gaps in supply. Charleston County only has three certified organic farms, Joseph Fields Farm, Middleton Place Organic Farm and Clemson’s Coastal Research and Education Center. Why are there so few farms getting certified in SC? Ryan believes it is in part due to misconceptions about the process being too expensive or having too much paperwork as well as a major deficit in farmer and consumer education. He noted that neighboring states are far ahead in numbers, with North Carolina home to 262 certified farms and Georgia up to 97 certified farms. Lowland Farms is one of several local operations that sell regularly at farmers markets in the area, including the new market launching in West Ashley. Charleston is not the only city with an incredible demand for local food, as demonstrated in the continued growth of farmers markets nationwide from 1,755 in 1994 to 8,284 in 2014. Proponents of local foods are focused on the ability to have a relationship with their farmer, reduce their carbon footprint, access regionally specific products, support the local economy, and enjoy harvested-that-morning fresh produce. One of the challenges local is that distance is the only requirement. 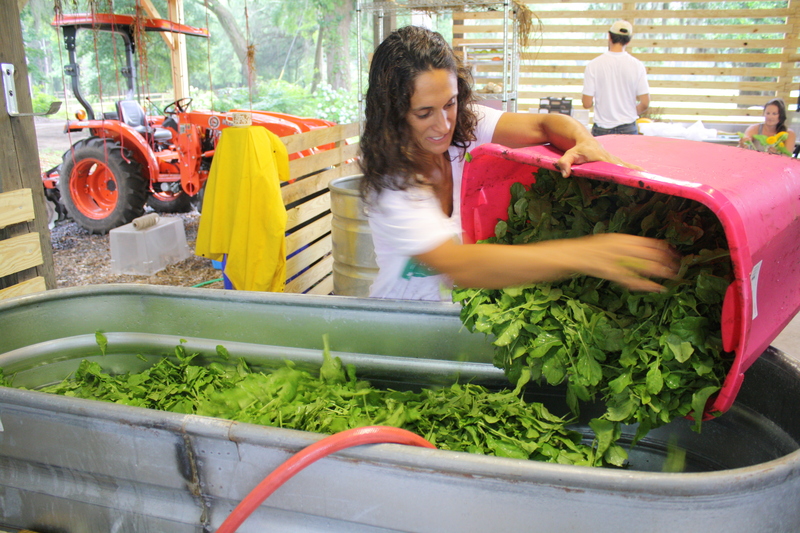 Local farmers can practice a broad range of production methods that may or may not reflect your own beliefs on health, social justice, animal welfare, or the environment. The benefit of location as a restriction is that because of their relationships in the communities in which they grow and live, farmers selling in direct markets locally have a great motivation to meet their consumer’s demands. If you have the ability to build a relationship with a farmer, you can ask about their practices and express your desire for certain types of certifications. Although this sounds like an ideal solution, the reality is the majority of Americans still buy their food at the grocery store – making food labels the primary tool for a customer can learn about a product. The current system relies heavily on certifications and language approved by the FDA (ie. 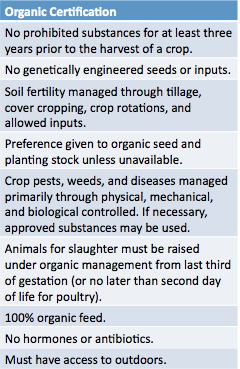 words like “natural”) to help consumers make decisions because farmers are not in the store to answer questions. Marketing and packaging can be very confusing to customers and take advantage of loopholes in labeling restrictions. 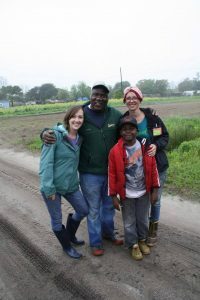 This weakness of the system is also its strength because it encourages consumers to actually learn about the food system and build relationships with those growing food in your community so they can be informed and savvy customers. So what is better, local or organic? It is a question that only you can answer for yourself. This article originally appeared in the Charleston City Paper. Want to eat local? Make and check out resources from Lowcountry Local First, including this Map of Purveyors. They even have a phone app to help you track your progress. Not in Charleston? Check out Local Harvest. The word on the tweet.